Habitat: Nesting occurs on Fernandina and Isabela. 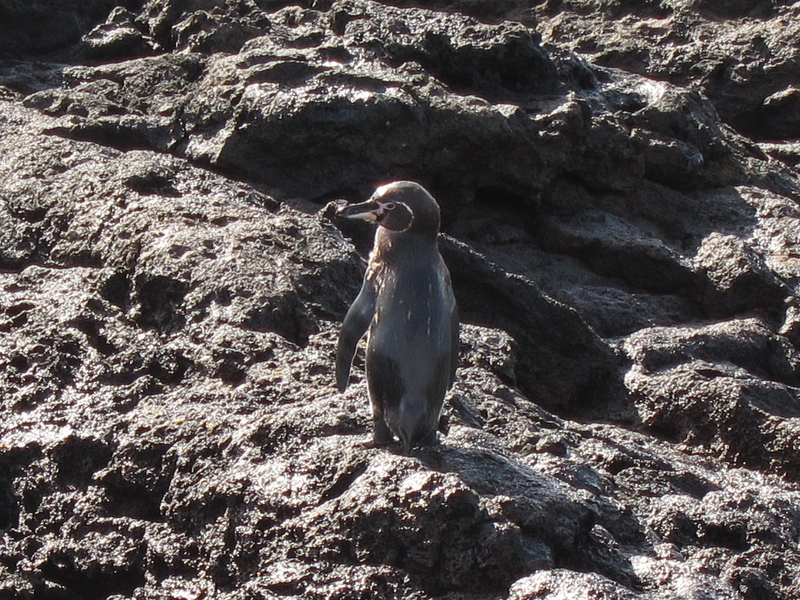 The best chances for seeing Galapagos Penguins are on Fernandina, Isabela, Sombrero Chino, Bartolome (where display and mating can be seen), and Floreana. It is rare to see penguins on the other islands. Appearance: Approximately 14 inches in height it is smaller and more duck-like than its southern cousins of the Antarctic. Adult penguins have a bluish-black head, back and flippers when new. Older worn feathers, dull to a brown color. Their underside is white with the exception of a black line along the side and scatter feathers on the chest. 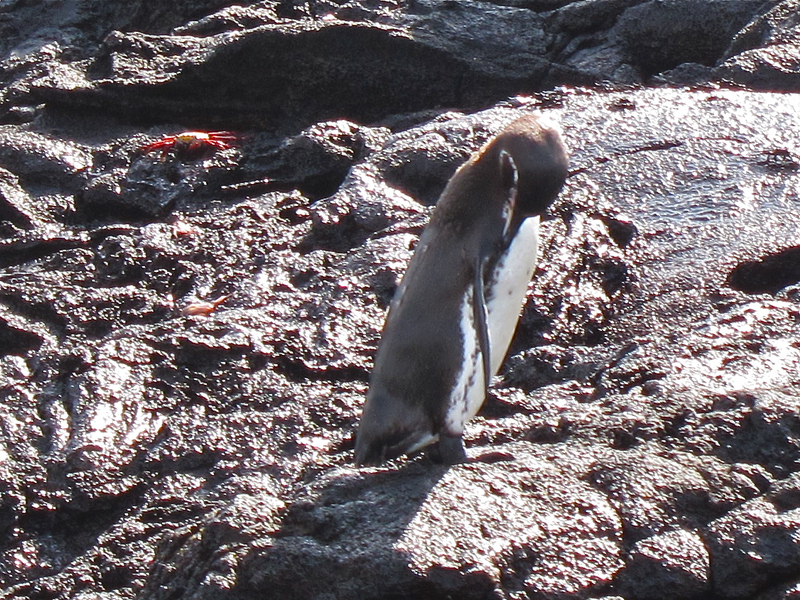 Reproduction: Galapagos Penguins mate for life. Nesting occurs throughout the year with the majority of nests being seen between May and January. Some penguins may mate as often as every 6 months. Female penguins lay 1 to 2 eggs each season. The eggs are laid in holes under the lava and the pair shares the responsibility of watching over the nest. 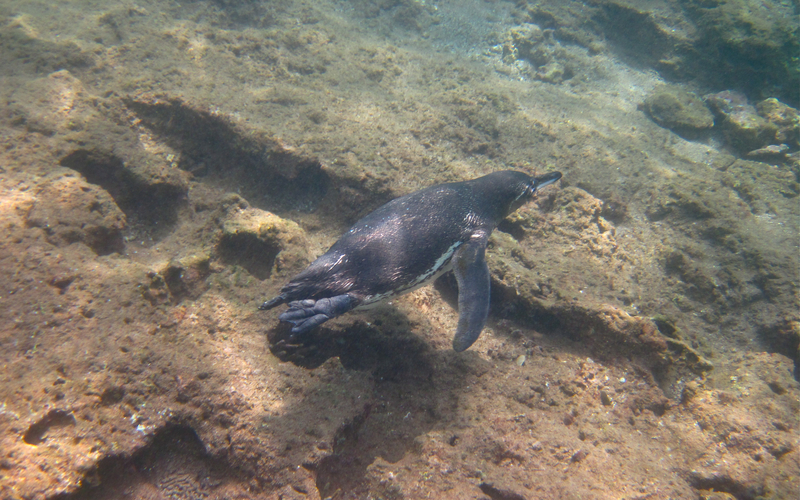 In years with warm waters from the El Niño Current, life changes in the Galapagos including heavy declines in the penguin population.